This column aims to support media that produces culture, as opposed to simply consuming it. Ambassadeur is a local, independently produced journal focused on art, literature, fashion and travel, published annually in English and Afrikaans versions. The journal aims to converge various creative spaces in South Africa, including features about artists and writers from the rest of the continent. The objective of every issue is to present a collection of established and emerging creatives, supplemented with content about noteworthy travel destinations — all to produce cultural material. The second edition of the magazine is retrospective in its approach, purposefully placing contemporary perspectives on the backburner; it chooses, rather. to reflect upon and revive orthodox creative approaches, ironically suggesting new ways of seeing for current art and literature. Notably, this issue features a photo-essay in collaboration with Gucci, inspired by “Sewe Dae by die Silbersteins” (Seven Days at the Silbersteins), a novel by South African writer, Etienne Leroux, first published in 1962. 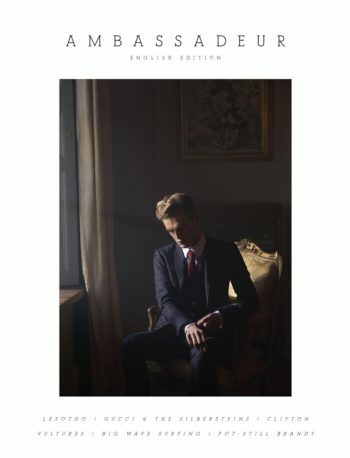 Fashion, literature, art direction and photography amalgamate here, and the cover is a photograph of model, Pierre Rossouw, from the photo-essay, taken by editor, Derick Muller. Innumerable technological advancements have fundamentally altered the path of the human condition over the past 25 years, so much so that many, including myself, are hailing the dawn of the post-human condition. WIRED is no stranger to these changes; the publication has helped to define them, specifically in the context of the digital revolution, detailed in the magazine’s original manifesto — all of this while most mainstream media remains largely ignorant towards technological evolution and its powerful influence over culture and civilization. WIRED has defined the positive, approaching the intricacies of contemporary media optimistically, and the negative, exposing the powers that are destroying media and erasing culture, within the context of the digital revolution. 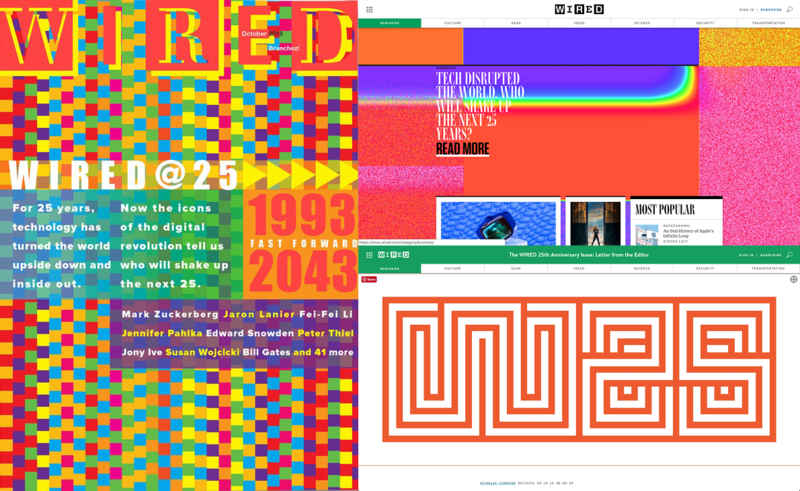 For its 25th anniversary, it’s compiled a celebratory issue, an ode to the principles established in its manifesto, and selected 25 icons nominated to be the most-involved people related to the changes caused by the digital revolution over the past 25 years. In turn, each icon has had to nominate an icon or iconic exponent that they see influencing the following 25 years. A rad conceptual foundation for a WIRED issue, thanks to the creative direction of Sarah Fallon, a long-standing editor there. Notably, the cover design and resultant art direction, which flows over nicely onto WIRED’s website, is a contribution from the title’s founding creative directors, John Plunkett and Barbara Kuhr. Another impressive feat is a contribution from political scientist, David Karpf, who read every volume of WIRED and delivered an article titled “25 Years of Wired Predictions: Why The Future Never Arrives” that reveals a ‘history of the future’ as represented by WIRED from 1993 to 2018. Given the variety of socio-political, environmental and economic issues globally, one would not be wrong to assume that humanity, and resultantly the planet, is on the edge of the edge. Contributing to this, the production of culture is far outweighed by the consumption of it. This is a critical point that will not go away until people become more conscious, responsible, critical, observant, creative and accountable. 032c is an online publication that attempts, in some small way, to balance the scale between production and consumption, placing emphasis on key branches of culture: art, design, craft, discourse, etc. In particular, 032c focuses on contemporary culture and youth culture, a vibrant and energetic space that a few have criticised for lacking any clear sense of identity or form of representation, and therefore having no culture or history (in the making). An age-old debate indeed, and somewhat tiring. However, empathy is an important conduit for the production of culture (something that is sorely lacking today) and, arguably, the media and technology of the digital age, albeit pivotal to the improvement of our modern lives, seem to only succeed in fueling greater apathy, distancing and disconnection among people, especially amongst the youth, in turn feeding more consumption. This is more than a crisis; it’s a depression, as people no longer take pride in what they do, nor do they feel a resolute sense of purpose or rootedness. Odd that media designed to connect people can have such a distancing and disillusioning effect. This point is proven by the theme for the latest issue, #34, titled “The Big Flat Now”. 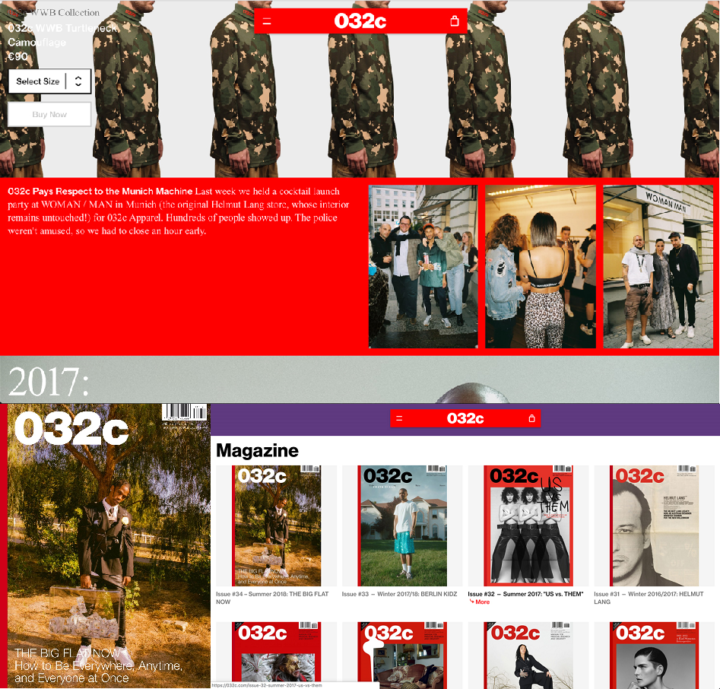 032c approaches this situation with tact and taste, artfully, to contribute to contemporary culture, even though the magazine is an apparel brand. 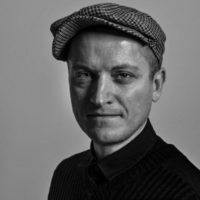 With a production and research centre based in Berlin, 032c studies how a brand can contribute to contemporary culture, with findings and insights made available online and in the form of a biannual printed magazine (what 032c calls its “manual for freedom, research, and creativity”). This may be perceived as a self-serving exercise on behalf of 032c, but surely if more brands made more attempts like this, the world would be a better place, and not in limbo, or a state of borderline devolution? During the ‘60s, The New York Post prohibited any mention of Fact, and The New York Times regularly published contentious material about the publication. The fact is, Fact magazine should have been called The Taboo Times. A quarterly journal published between 1964 and 1967, it prided itself on its controversial content, particularly its criticism of power structures, institutions and certain social constructs in society. It was the first major magazine to publish reprehensible subject matters, exemplified by the first issue, which featured a first-person account on the effects of LSD. One shouldn’t underestimate the immense value of criticism and free-thought, and Fact was no stranger to this, so much so that the Nobel Prize-winning biologist, Hermann J Muller, even contended that the title performed a much-needed role in society. The magazine was edited by Ralph Ginzburg, who was also the father of Eros and Avant Garde magazines and who worked alongside co-editor Warren Boroson. Fact was on a crusade to find truth, to defy the norm and subvert convention, which included rebellion against its own readers and investors and not only the usual suspects such as religious institutions, corporations and governments. As such, Fact was a quarterly focused on dissent, a magazine that printed stories that no other magazine would. Fact had no advertising, allowing the editors the freedom to investigate and critique sacred institutions. Avoiding the propagation of political liberalism and the exercise of intellectual authoritarianism, Fact delivered articles derived from personal experiences and scientific research more in tune with the realities of the time. These articles rested upon common themes that were prominent during the ’60s, including: the double-standards and paranoia surrounding anti-communism in the US, the neglect of the public sector within the US economy, ‘press mess’ (aka fake news, or unethical, dishonest journalism), the protection of ill-informed consumers against predacious corporations, sexual liberation, and psychology. The historic art director, Herb Lubalin, who worked primarily on Eros magazine at the time, was given free rein to design Fact. He found the perfect balance of image and text, and designed a large-format publication that was readable and legible. Each article faced a select piece of illustration, and he curated every issue with its own illustrator. Lubalin’s work for Fact won him the Award of Excellence from the Society of Publication Designers in 1964 and 1965, and has led to countless imitators ever since. At its peak, Fact had a circulation of 250 000, attracting important contributors such as Bertrand Russell, Mary Hemingway, Irwin Shaw, and Dr Benjamin Spock to name a few. Mention must be made of the online archive for Fact, a website that allows access to the entire legacy of the magazine.